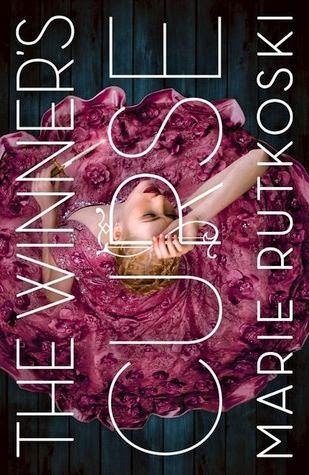 The Winner's Curse is a beautifully written and completely captivating start to Marie Rutkoski's new series and I'm already desperate to get my hands on the sequel (that won't be available for another year *sobs*). This is a fantasy story but it has a historical feel to it and the Valorians reminded me a lot of the Romans since they were so busy building their empire. Kestral is the daughter of one of the most important generals in the Valorian army and she has lived a life of privilege. Although she is wealthy and has wanted for nothing she has always struggled to live up to her father's expectations and just wants to be able to live life on her own terms. Valorian girls have the choice of either marrying or to joining the military and her father has spent her whole life training her to join him in the army. No matter how much effort she puts in she has never been very good at fighting but she is an expert at strategy and could be a valuable asset to him. Although Kestral has no interest in joining the military she isn't that keen on getting married either, she would much rather be allowed to spend her time playing the piano even though that is looked down on by members of her society. The Valorians took over Herran by force and ever since the war the Herrani people have been enslaved. Forced to give up their property and belongings they are now made to work for the people who stole their lives from them. These once wealthy people are forced to live in poverty and it is no wonder they are resentful of everything that happened to them and are desperate for revenge. Arin is one of these slaves, and unsurprisingly he hates it and bucks the Valorian authority at every opportunity he gets. He comes into Kestral's life when she is at a slave auction and ends up buying him. Although Kestral doesn't agree with slavery and has never purchased a slave before something about Arin's defiance draws her to him and she ends up paying above the odds to keep him. What she really wants is to offer him his freedom but that isn't an option she has so Arin finds himself forced to work at her father's estate. We get to see the beginnings of a relationship between Kestral and Arin but it is a very slow build and there are a lot of things conspiring against them. I liked the fact that there is no instant love between them, they spend time getting to know each other and even when you can tell they're both interested neither of them is very willing to act on it. I would have liked Kestral to have been a little more subtle about her feelings towards him, particularly in public where she draws a lot of unwanted attention to them both by some of her actions, but it was hard to be too irritated by that when she was trying so hard to do the right thing. The Winner's Curse is the kind of book that really makes you think, it raises all kinds of questions and shows the good and bad on both sides of the war. It is hard to feel sympathy for the Valorians who are the conquerors but they aren't all evil and some of them have gone out of their way to make life better for the Herrani people. Of course it is much easier to sympathise with the Herrani, they didn't ask for this war to come to them and they didn't choose to be enslaved but they will fight back to earn their freedom. While I don't always agree with the methods they use I can't fault them for their goals - I know I would certainly feel the same way in their situation. Marie Rutoski has spent a lot of time creating a believable world and she manages to introduce it to readers without overwhelming them. I was fascinated by the politics, customs and history we are shown and I found it very hard to put the book down once I'd started. The beginning is a little slower because the author takes time to build a rounded picture of the world she's created but it was so interesting that I didn't have an issue with that. The second half is much more action packed and fast paced as hidden plots start to unfold and I have a feeling that things are only going to get more interesting in the sequel.